PRIMO PLAIDS by Marcus are for much more than the coziest quilts & PJs! 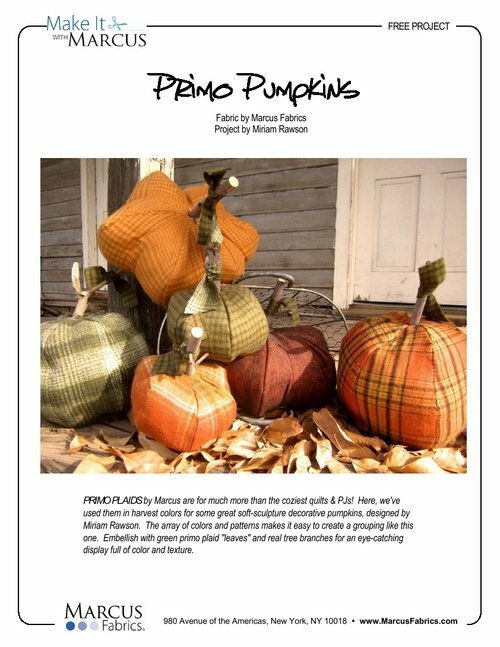 Here, we've used them in harvest colors for some great soft-sculpture decorative pumpkins, designed by Miriam Rawson. The array of colors and patterns makes it easy to create a grouping like this one. Embellish with OASIS CANVAS leaves and real tree branches for an eye-catching display full of color and texture.